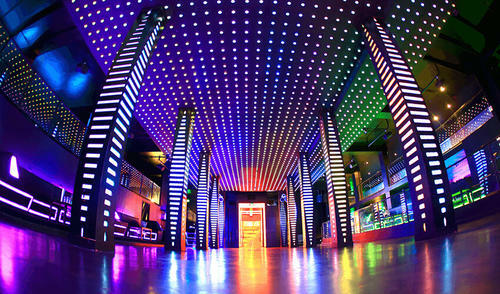 Located in the heart of San Francisco's SOMA district, Temple Nightclub & Event Venue is and has remained the top night club and event venue destination for the trendiest and freshest companies in San Francisco. 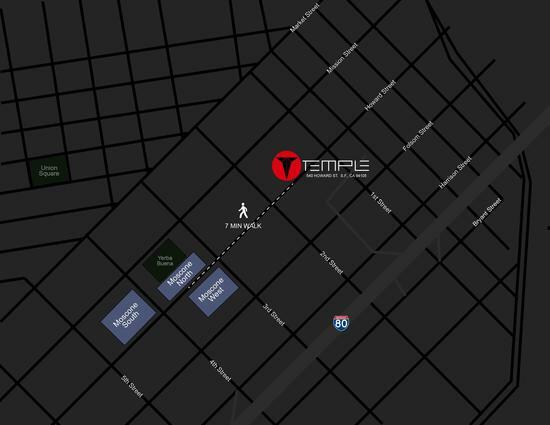 A quick 7 minute walk from Moscone Center makes Temple Night Club and Event Venue the PERFECT location for any and all conference related events and parties. Need a board room set up? You got it! Looking for a cocktail reception? No worries! Theater style presentation? We're on it! Anything you need ... let our team make it happen for you while you sit back and look like the Rockstar that you are. Temple Entertainment Center has (2) levels of event spaces and can accommodate many types of events from demo/launch events, dance parties, kids parties, sit-down dinners, holiday events, and corporate meetings.